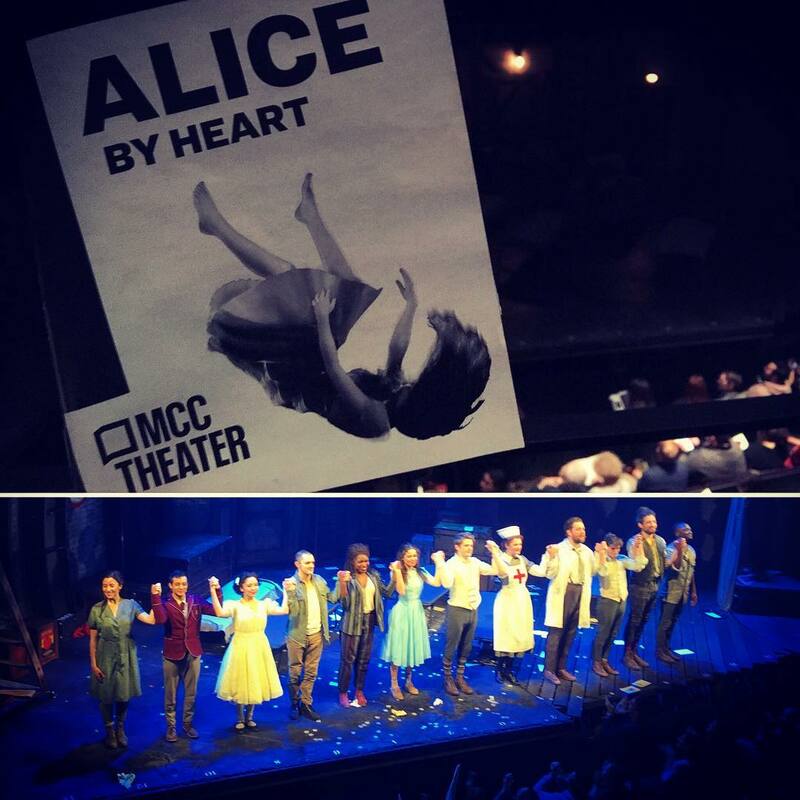 Alice by Heart: Preview tonight at the MCC Theater. Every single scene is filled continuous movements large and small… from “Chillin’ the Regrets” where the entire cast came together to become a caterpillar… to simple arm gestures that conveyed the affection between Alice and the White Rabbit in their duets. The choreographies seamlessly incorporated the stage design, all kinds of props, creative costuming… as well as the vertical space. 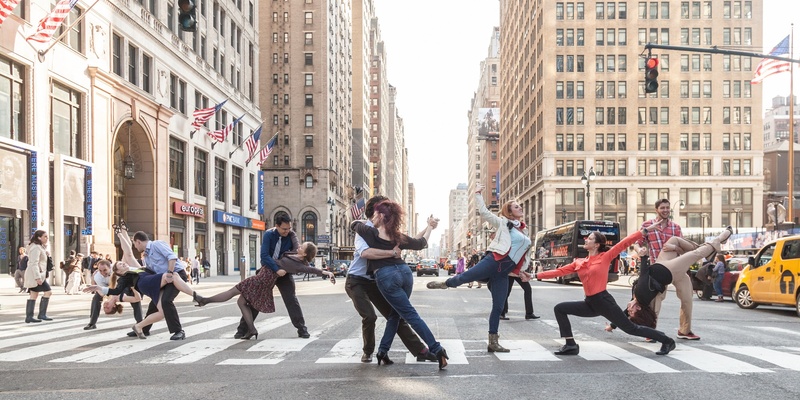 The cast told their stories on ladders, sang while climbing up and down poles, were continuously lifted over each other, and pulled through and under each other. Gorgeous movements filled the 90+ minute show: Giving the characters an extra dimension to express their emotions. Setting the scene of a mysterious wonderland where caterpillars, birds, flamingos, turtles, lobsters, the Mad Hatter’s Tea Party, and the Red Queen’s trial came to life. By creating a whole new world through bodies and everyday objects, the choreographies allowed the audience to go inside of Alice… and see what she sees. I also love the chemistry between the two leads Molly Gordon as Alice and Colton Ryan as Alfred. They showed us love, care, friendship, innocence, moments of happiness, and grief all at once. I really enjoyed the script (the writing started nine years ago!) that overlaid the story of Alice and Alfred on top of Alice in Wonderland. The juxtapose aded yet another layer of mystery to the wonderland. Finally, the multi-talented ensemble was absolutely amazing. Bravos to Mia DiLena, Zachary Downer, Noah Galvin, Zach Infante, Andrew Kober, Grace McLean, Nkeki Obi-Melekwe, Catherine Ricafort, Heath Saunders, and Wesley Taylor. Thank you for giving us a wonderful show!